Willis, N.m.. "Medal". The Canadian Encyclopedia, 04 March 2015, Historica Canada. https://www.thecanadianencyclopedia.ca/en/article/medal. Accessed 21 April 2019. This medal is awarded to members of the air force for bravery (courtesy Library and Archives Canada). A medal is usually a small metal disc, ornamented in relief, struck or cast, and awarded for merit or issued to commemorate an event or person. Medals have essentially the same significance in Canada as elsewhere in the Western world; little noticed in everyday life, they are nevertheless highly esteemed. A distinction is often made between medals of the military sort, worn on the person, and others that are not intended to be worn, but there is no generally accepted and understood terminology for this differentiation. Although a few early medals alluding to Canada were created in France and Britain as commemorative pieces, Canadians became more familiar with medals through the British military; when Canadians began to sponsor medals for their own purposes, after about 1850, they looked primarily to British sources. By the end of the century, many medals were being struck in Canada, notably by P.W. Ellis & Co, of Toronto. Early in the new century the lead in Canadian medal manufacturing passed to Caron Frères Inc of Montréal. Canadians also ordered medals from France as readily as from Britain, but few came from the US. The issuing of medals in Canada ebbed in the period of the Depression and WWII. Since WWII Canadian medals have generally been designed and fabricated at home. There is, however, no specifically Canadian school of design, Canadian medals today reflecting broad international trends rather than particular heritages. Québec, though more influenced by France, does not have a markedly distinctive medallic tradition, but recent Prix du Québec medals have been innovative in design. The medal collection at the National Archives of Canada, Ottawa, contains medals of all types, and the Canadian War Museum, Ottawa, has the leading military collection. Château Ramezay, Montréal, the Glenbow Museum, Calgary, and the museum at the Séminaire de Québec, Québec, have notable medal collections. 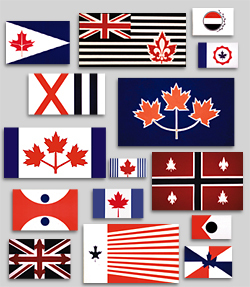 Canadians know military medals through the striped ribbons often worn by people in uniform. Emanating from the sovereign, official medals were traditionally the same as the British, until the establishment of Canada's own HONOURS system. Since combat awards effectively lapsed after the KOREAN WAR, most ribbons worn by members of the Canadian forces today represent commemorative or long-service medals, or United Nations medals for PEACEKEEPING operations. There were many Canadian recipients of the British military gallantry awards that were common to the whole Commonwealth. 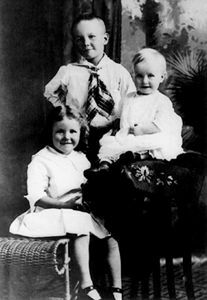 The VICTORIA CROSS could be won by any rank in any service, the Distinguished Service Order by officers of any service, and the Royal Red Cross by nurses. 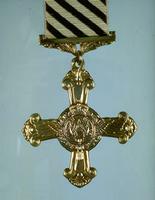 The Distinguished Service Cross, Military Cross, Distinguished Flying Cross and Air Cross went to officers of the respective services, while the Distinguished Conduct Medal, Conspicuous Gallantry Medal (Navy or Flying), Distinguished Service Medal, Military Medal, Distinguished Flying Medal and Air Force Medal went to other ranks on the same basis. The Canada Medal, established 1943, was never awarded. Current DECORATIONS FOR BRAVERY, instituted within the honours system in 1972, are not military awards. Campaign medals rewarded participation rather than individual conduct. The first, the Military General Service Medal, covered a period including the WAR OF 1812. Canadian recipients included militiamen and Indians. Among the clasps identifying particular battles were those denoting the Battle of CHÂTEAUGUAY, CRYSLER'S FARM and Fort Detroit. The Canada General Service Medal, for the years 1866 and 1870, recognized service against the FENIAN raids and in the RED RIVER REBELLION, and the North-West Canada Medal recognized service in the NORTH-WEST REBELLION. The first war medal for Canadians only was the Canadian Volunteer Service Medal of WWII, and the first British war medal with a distinct Canadian version was for the Korean War. Canadians receive UN medals for military service under the UN command. Medals also went to members of 19th-and 20th-century arctic expeditions. Military commemorative medals for jubilees and coronations went originally to contingents sent to England, but distribution later widened, eventually to include selected civilians. The 1967 Canadian Centennial Medal and the Canadian 1977 Queen Elizabeth II Silver Jubilee Medal resemble military medals and are worn as such, but they were widely distributed throughout the whole community. Long-service and good-conduct medals, originally British, then for colonial forces, gave way in 1930 to a number of Canadian awards. In 1949 all were replaced by the single Canadian Forces Decoration. The Canadian honours system now recognizes service in high-risk professions providing public security by such awards as the Police Exemplary Service Medal and the Corrections Exemplary Service Medal. The RCMP Long Service Medal was established in 1933. Other police and firefighting medals are awarded by provincial governments, local authorities or unofficial bodies. Before the institution of Canada's own decorations for bravery, Canadians received British awards for heroism in civilian circumstances; these included the GEORGE CROSS, the George Medal and the Albert Medal. Early in this century the Department of Marine issued, in the name of the Canadian government, medals for lifesaving at sea. The earliest medal directly pertaining to Canada was the French &QUOT;Kebeca Liberata&QUOT; medal celebrating the repulse of a British attack on Québec in 1690. Later French and British medals commemorated Canadian events of the 18th century. Unique to Canada were the special medals which were presented to Indian chiefs at treaty signings and on other significant occasions. These imposing, normally silver, medals were often worn around the neck. Early Canadian medals included Catholic medalets, TEMPERANCE medals, and individually engraved presentation pieces. Educational and agricultural prizes became popular after about 1850, and the 1860 visit of the Prince of Wales inspired an upsurge in medals. CONFEDERATION was commemorated by a magnificent allegorical medal. In 1873 the Governor General Medals, personal gifts awarded mainly for academic achievement, were inaugurated. They portray each successive incumbent with spouse on the obverse, and the coat of arms on the reverse. Originally made by Wyon in England, they have been struck since 1947 at the Royal Canadian Mint. Some provinces issue lieutenant-governor medals as academic awards. 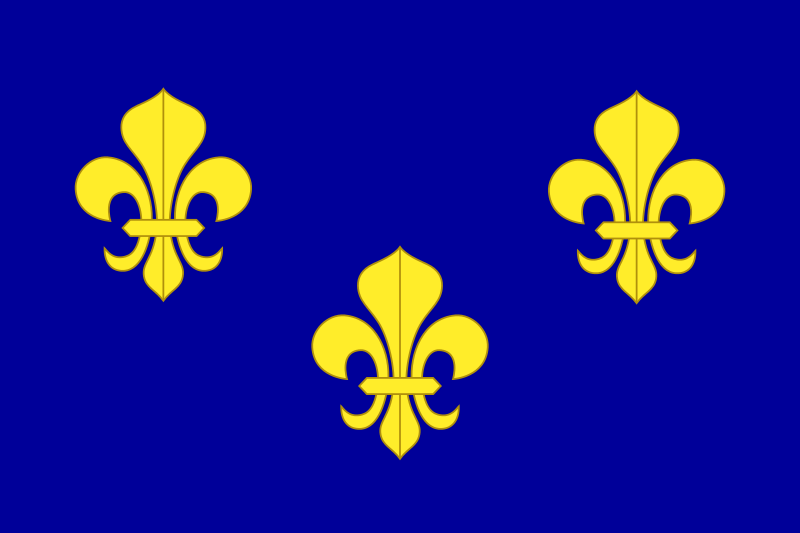 Only the Québec series (1884-1966) regularly bore the portraits and arms of the respective incumbents. Until 1934 they were usually struck in France, and thereafter in Montréal by C. Lamond et fils ltée. Noteworthy commemorative medals were the Québec Tercentenary Medal (1908), the George-Étienne Cartier Centenary Medal (1914) and the Confederation Diamond Jubilee Medal (1927). Many prize medals are given at Canadian universities, the earliest having been awarded at McGill. Agricultural fairs spawned many medallic prizes and souvenirs. The Toronto Exhibition (later CANADIAN NATIONAL EXHIBITION) inaugurated its impressive series in 1879. Other educational institutions, municipalities, learned or professional associations and sports or hobby clubs issue prize or commemorative medals. In 1924 the ROYAL SOCIETY OF CANADA established its first of 12 medals now awarded. Canada's 1967 CENTENNIAL inspired many medals. Commercial mints, especially the Franklin Mint (formerly Wellings), have manufactured series of commemorative medals directly for the collectors' market. A more sustained recent development, especially strong in western Canada, has been the issuing of municipal &QUOT;trade dollars.&QUOT; These essentially perpetuate the medallic tradition of striking souvenir pieces for local festivals, anniversaries and visits. Despite its long-respected status in Europe, the art of the medal has not been much appreciated in Canada until recently. Formerly, medals represented a venerable honorific tradition, but their appearance had only to be dignified and conventionally correct. The earliest medals produced in Canada combined customary heraldic, decorative and typographical elements; some emulated the classical style of the British family of medalists, the Wyons, who supplied many medals to Canada. Early Canadian medals were often the work of unidentified designers, just as many of the stylistically more conservative medals among recent Canadian production are unsigned. The first medals by well-known Canadian artists were created early in the 20th century by Louis-Philippe HÉBERT and Alfred LALIBERTÉ, both sculptors who had been to France. Emanuel Hahn and Robert Tait MCKENZIE, also distinguished sculptors, designed medals between the wars. Since the 1960s Dora DE PÉDERY-HUNT, a medallist of international reputation, has designed many struck medals but has also familiarized Canadians with the cast medal, now favoured by many European artists. A number of Canadian artists have been inspired by her example, sometimes creating medals purely as works of art. Canadian pieces are regularly included in the major biennial exhibitions of contemporary medallic art staged in Europe and North America by FIDEM (Fédération Internationale de la Médaille). The limited &QUOT;consumer&QUOT; base still hampers Canadian medallic art. The Royal Canadian Mint and a few private mints strike medals on commission, sometimes in considerable quantity, while the cast medals favoured by some contemporary artists are produced in small runs through art foundry facilities. Canadian Military Medals and DecorationsThis site is dedicated to the history, meaning, and significance of Canadian Medals and Decorations. From Veterans Affairs Canada.